Can you inspire and be inspired? Can you deliver great customer service? Are you looking for a chance to shine? We have fantastic opportunities for progression and development and the Freedom to nurture ideas and flair within a Framework of support to develop you. 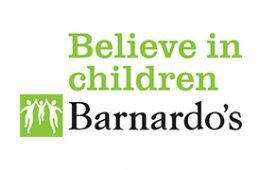 At Barnardo’s we believe in children, the funds raised in store support the most vulnerable children and young people in the UK and now’s your chance to play your part in this vital work. As well as maximising sales and profit in store you’ll also ensure the very highest standards of presentation and customer services – your aim will be to make your store the best in town, for customers to visit and for your colleagues to work in. As a Store Associate you will support the manager with all aspects of running a busy store, it’s the best of both worlds as you will have responsibilities but also the chance to develop and learn with an experienced store manager by your side. You’ll need to be well organised with great communication skills and ready to learn how to lead your team of colleagues in store to maximise sales and profit and meet your stores targets. In return you will work for one of the UK’s largest charity retailers with benefits, including full training and development package, promotion prospects, pension and benefits. Generating the money we need to make children’s lives better is a truly fulfilling role so if you’d like to use your talent to make a positive difference then we would love to hear from you! Please visit here to be redirected to Barnardo’s website and search for the relevant job reference.